When you have files on your desktop and on your Android device, you know how time consuming it can be to sync the two files sets. 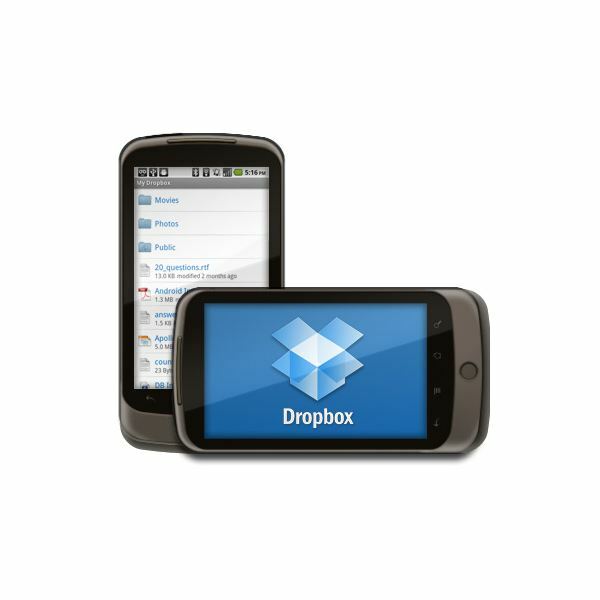 This PDA app for Android allows users to access a Dropbox (short for a location), which contains any kind of content, including music and movies from anywhere. Users can also upload files, such as images and links, to their Dropbox account. You can even send files to Dropbox from other applications. There is an enhanced photo gallery and multi-photo upload support. Ups: Easy to work with. Downs: Sometime loses connection and download can't complete. Typically, users with a mobile device suffer from information overload. This is where slidescreen can help. SlideScreen turns your Android device’s home screen into a hierarchy display of your information, to separate information from noise. It can present a summary of data from text messages, phone calls, GMail, your calendar, Google Reader, stock market data, Twitter and Facebook. It has a slidebar so that the screen slides from one set of images to the next. Ups: Twidroid integration for Twitter on your Android. Downs: No corporate Exchange Mail tracker. Being on the go does not mean that you are unable to access information that you need for task completion. 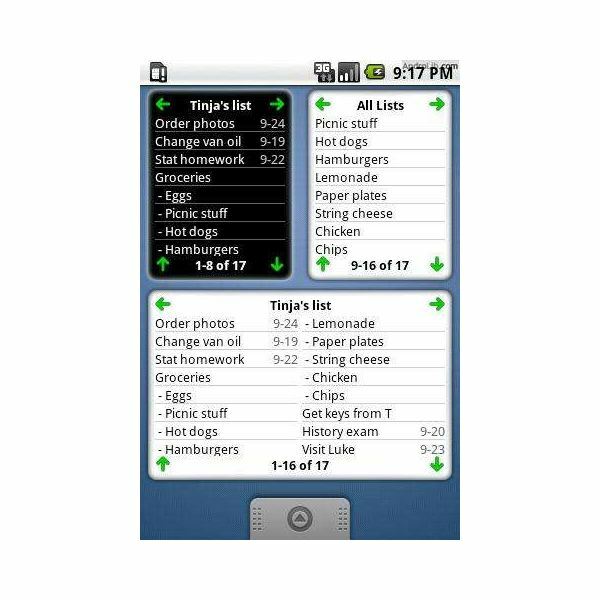 This app represents mobile task-management with multiple features. Did a task get done? Does it need to get done? You can add and check off tasks on the go. You can organize and prioritize upcoming tasks. Do you need an alert when you are near a task location? That can be provided and it can sync mobile device actions with a web interface. Remember the Milk is available with a yearly subscription fee of $25 to the RTM web interface. Ups: Does what it is supposed to do. Staying focused is everyone's handicap. Some are able to be very focused others need help. So for you latter folks, this Android PDA software will help you stay on track. It is more than just a to-do list; its reminders will help you remember to work on tasks, large and small. "But", you say, "I'm not in one spot! How can I remember to do things that are in that location?" Astrid is location-aware and can sync with Remember the Milk, an online task management tool. It’s open-source and built with Google technologies in mind. Ups: Can access Remember the Milk. Downs: Doesn't interact well with RTM. 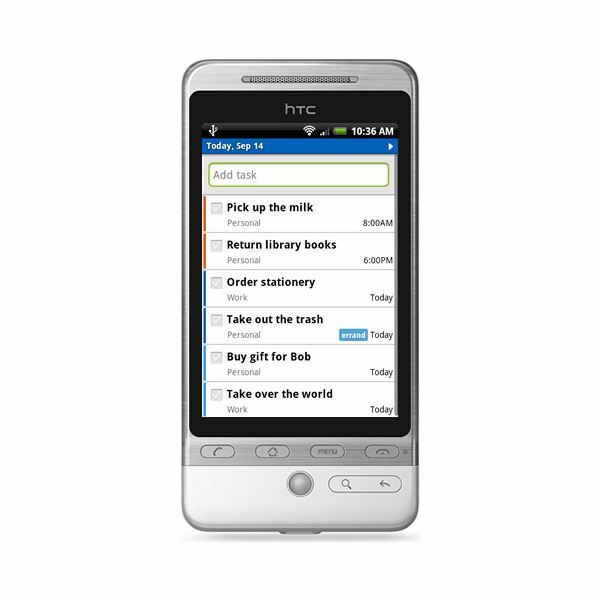 If you have a lot of Google Task lists, you can organize your Android with this app. You can sync up your to do lists from multiple GMail and Google Apps accounts with one app. You can also sort tasks by due date, name, or custom order. If you have repeating tasks you can move them to the next due date, and reminders for time-sensitive tasks can be set. All of this can help you perform your tasks in the correct sequence and on time. Ups: Integrates well with Google Task lists, as you would expect. Downs: Doesn't work with email links. These examples of PDA software for Android show how varied the apps can be. Some are practical like Slidescreen, which can be used to notify people about activity or actions. 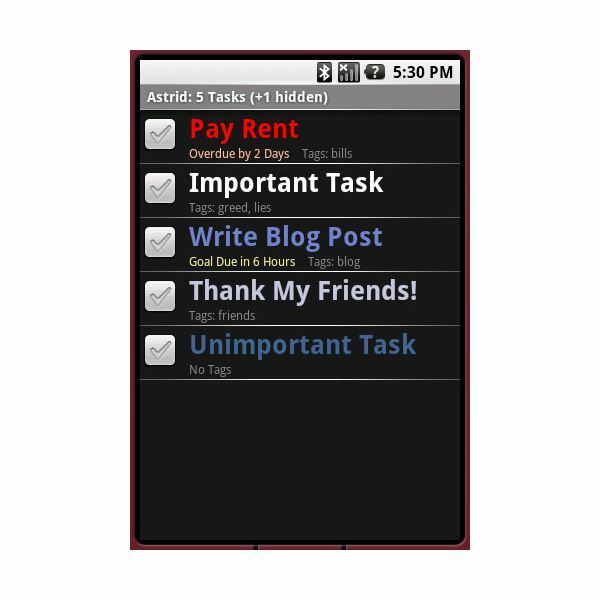 At the other end are to-do apps that can remind you of tasks that should be performed. In between are different apps that can be uses for different types of interests. The best one of the group is Slidescreen because of its functionality.